If you know me, you know that I love designer handbags. I’m one of those freaks that can remember the first time I saw one. It was in 2003 and I must have only been 11 years old. I was watching Newlyweds: Nick and Jessica. Jessica Simpson had this beautiful monogrammed luggage. I remember asking my mom where I could get it. She laughed and told me that what I was looking at was the designer Louis Vuitton and I would probably never be able to afford it. Oddly enough, that was a defining moment in my life. I had always loved fashion, but from that moment on I was absolutely obsessed with designer fashion. By the age of 12, I had my first designer handbag – my very own Louis Vuitton. My obsession is still going strong. 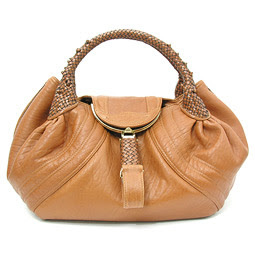 I keep a list, a very long list, of handbags that I think every woman should own. I own a lot of them now. My handbags are my collection. It’s taken me a long time to collect them all. They’ve come from cities all around the world. The only bag I don’t have on this list is the holy grail, the Hermes Birkin. The Hermes Birkin is the most recognizable handbag in the world. It comes in virtually every leather and colour combination imaginable and is neutral, no matter what colour it is. It’s a true classic! Even without the name or prestige, the Birkin is a beautiful piece. It is structured with metallic hardware. The bag is highly coveted and the waiting list used to be around 6 years! If you want to channel your inner Victoria Beckham, this is the bag for you, as long as you have at least $15,000. With lots of finishes, colours and sizes, the Chanel Flap Bag is beyond famous. 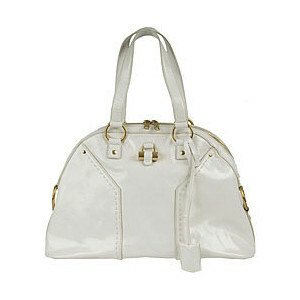 Perfect for both everyday use and special occasions, buy this bag in caviar leather and it could outlive you! It is truly an investment. The Chanel 2.55 Classic Flap speaks to women of all ages and is the epitome of class and elegance. I got mine from the Chanel on Rodeo Drive for my 21st birthday. Originally I had bought it for special occasions, but I find myself carrying it every day. It really is the perfect bag. Commonly photographed with A-List celebrities and fashionistas, the Luggage Tote is nearly impossible to get your hands on. It has garnished attention worldwide in all varieties and sizes. The simple yet iconic design can be found in mini or nano. It comes in many different textures and colours, with the tri-colour option being overwhelmingly popular. The minute I saw a Kardashian carrying this bag, I knew I had to have it. I scoured three cities to find one – Boston, New York City and Miami. I guess the third time really is a charm. After reading about the best times and days to nail a Luggage Tote, I arrived bright and early at the Celine store in Miami. After being shown a few options, I chose the mini vermillion. It’s my most-coveted item, as it took the most effort! The price has gone up every season and many experts think it will be the “new” Birkin. This bag never seems to get old. The shape cannot be defined, it is it’s very own and definitely unique. The braided handles are stunning and the hidden compartments are convenient. You can get it in luxurious furs, crystals, beads, denim, animal skins and of course leather. While many might not consider the Spy bag a classic, it is here to stay and is still sold out throughout the world. I purchased mine at a designer consignment store in Beverly Hills. Its previous owner was Paris Hilton! YSL’s take on the bowling bag has sky-rocketed with the Muse. Coming in three different sizes, the Muse is stylish, roomy and features just the right amount of hardware. It comes in leather, ostrich, crocodile, linen and special-edition skins. You can even get it in prints, my favourite being cheetah.I picked mine up at a YSL outlet in Italy for only $900! What designer handbag is on your wish list? Tags: best designer handbags, blogger, celine luggage tote, celine luggage tote review, celine mini luggage bag, celine vermillion, celine vermillion review, chanel 2.55 flap, chanel flap bag, chanel flap bag review, chanel on rodeo drive, designer handbag obsession, f blogger, fashion, fashion blogger, fashionpile, fashionpile review, fendi spy bag, fendi spy bag review, handbag collection, handbag wish list, handbags, hermes birkin, Louis Vuitton, miami celine store, purses, top 5 classic handbags, top 5 designer handbags, top 5 Friday, top five friday, why you should own a chanel flap bag, ysl muse, ysl muse review, yves saint laurent muse. Bookmark the permalink. to get your hands on these beauties? I have a few & a Birkin my mom gave me. that I adore to the fullest extent lol. What i really really love is Balenciaga! I have all of them except the Birkin! Wow, you’re a lucky lady! I dream of Birkins. I’ve wanted to get my hands on a Balenciaga Motorcycle bag, so I feel you there! Do you have any of their bags? Love these bags! I’m obsessed with Balenciaga and Valentino right now. Great post doll!